Built at the start of the 18th century, the former Jacobin convent occupied one of the buildings. The new campus reconnects the site with its educational vocation. Former home of the University of Poitiers, the institution created in the Middle Ages by clergymen, successfully survived the ups and downs of history right up to the French Revolution. In 1789, the convent became the seat of the Jacobin club (not to be confused with the previous tenants of the buildings), then barracks and a prison. In 1842, a philanthropist bought the property and transformed it into the Ecole Saint-Vincent de Paul. The owners were no longer religious, but the educative vocation tied in with the building remained. In 1902, the establishment became a boarding school and is renamed Pensionnat Saint-Jean-Baptiste de La Salle. It closed in 1905 and then reopened again, then returned as collège Saint-Stanislas, which it remains until 1980. Acquired and converted by the Region Nouvelle-Aquitaine, the site welcomed the ESCEM up until 2017. Thanks to the renovations financed by the region and the town, it once again becomes a “school” but this time, of higher education. Read below for a short summary of the history of this exceptional place, 23, rue Jean Jaurès. 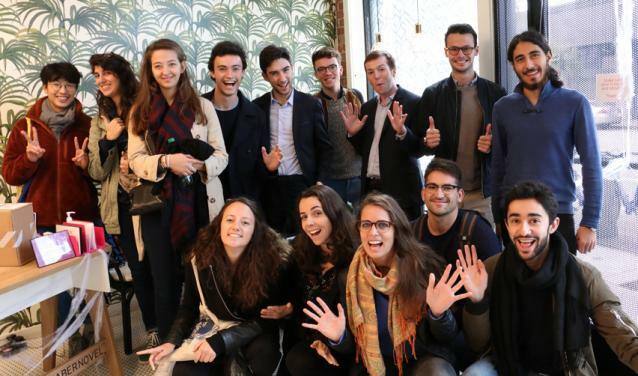 By moving to this new site, designed specifically for Sciences Po, we have conceived an “ideal campus” for the needs of students and instructors of the 21st century. First of all, students have more space: there are now 3 lecture halls, compared to only one with a capacity of 90 students on the old site, and 10 classrooms instead of 5. But there is the added benefit of more spaces for other purposes: an art room, a cafeteria, associative offices, coworking spaces, a common room, etc. The classrooms are equipped with the latest in teaching technology, and students now have access to a health centre in dedicated premises. 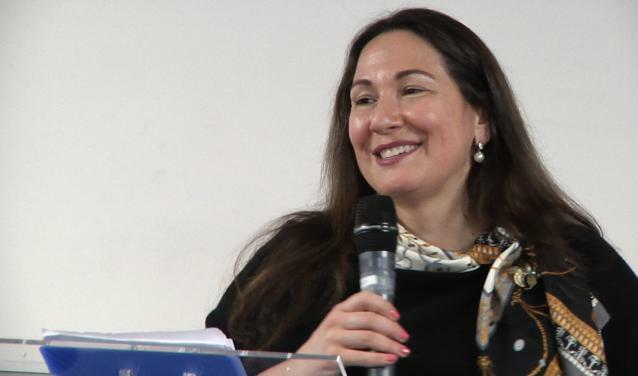 The site is thus a pilot, which prefigures other campus improvements, and notably the new site, l’Artillerie in Paris, which will open its door in 2021-2022. The signposting, which is entirely accessible, is another example of this. The student common area has been baptised “Espace Mafalda”. But we are still at Sciences Po, and on the Latin-American campus, so this famous comic character created by Argentine artist Quino was chosen for a reason: not only is she very popular in Latin America, she also has a political aspect to her: her editor, Julian Delgado, was killed under torture. With 30 different nationalities out of 187 students, the Poitiers campus in parallel with the other delocalised campuses of the undergraduate college, is both international and anchored in the local framework. 60% of students are international - Brazilians and Spanish being the biggest contingent. 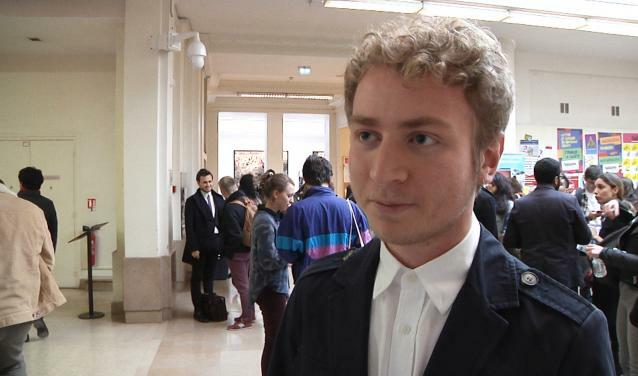 But since 2007 the campus has admitted 950 students from the Nouvelle-Aquitaine region. Students from all horizons, are both engaged in their local communities and fortunate enough to meet leaders from all over the world (since 2013, the heads of state of Costa Rica, Uruguay, and Ecuador have visited). These students, once they graduate, do not hesitate to become ambassadors of their campus the world over. The campus building also hosts the offices of 30 personnel from the Nouvelle-Aquitaine region. And with good reason too! The acquisition of the site was in part financed by the Nouvelle-Aquitaine region, the deparmtent of Vienne and the urban community of Grand Poitiers. The restoration of the building has been overseen by the Nouvelle-Aquitaine Region since July 2017 and co-financed by Nouvelle-Aquitaine and Grand Poitiers. 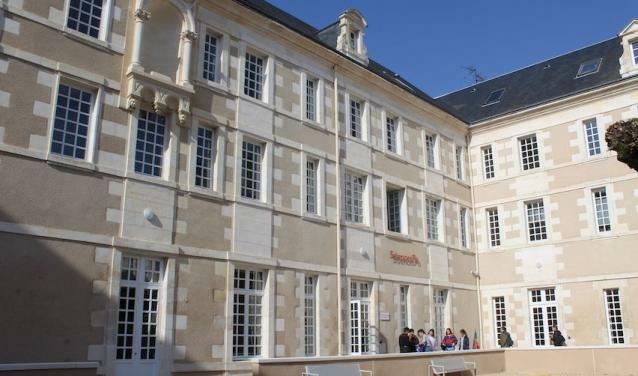 Sciences Po furnished the buildings with the help of the Region and Grand Poitiers.